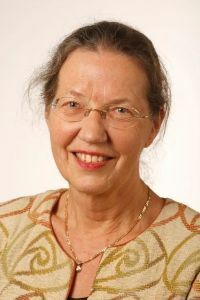 The Fridtjof Nansen prize for excellent research in science and medicine 2014 is awarded professor Kirsten Sandvig from the Department of Biochemisty at OUS and CCB at UiO for her groundbreaking work within biochemistry and cell biology. Prizewinner Sandvig receives a medal, a diploma and 150,000 NOK at a ceremony on the 5th of May at the Norwegian Academy of Science and Letters. Kirsten Sandvig is Principal Investigator in CCB and Professor at the University of Oslo, Department of Biosciences. Sandvig's research group is located at the Institute for Cancer Research, the Norwegian Radium Hospital, Oslo University Hospital. Read more about the prize on the Norwegian Academy of Science and Letters website (in Norwegian).